NOW YOU CAN QUICKLY TELL WHAT TYPE OF EVENT IS LISTED, JUST LOOK FOR THESE SYMBOLS. Notes: The annual event, CELEBRATING ITS 32st year, owed much of its success to the area's natural resources, which are considered the best in the world for sand sculpting events. 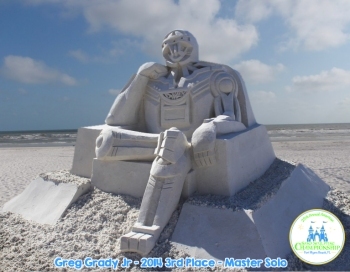 Continues to be the largest sand sculpting event in the state of Florida and one of the largest in the world. 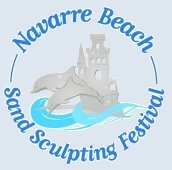 Notes: Seven of the world's top soft sand sculptors are coming to compete at Navarre Beach next to the Navarre Beach Pier. Notes: SANDING OVATIONS is Treasure Island's First Annual Master Sand Sculpting Competition and Music Festival, a four day competition of eight sand sculpting masters from throughout North America, who create astonishing works of art using nothing but sand, water and lots of their own imagination. Free Lessons for spectators: Yes, offer lessons during the event and the week before for amateurs to prepare. 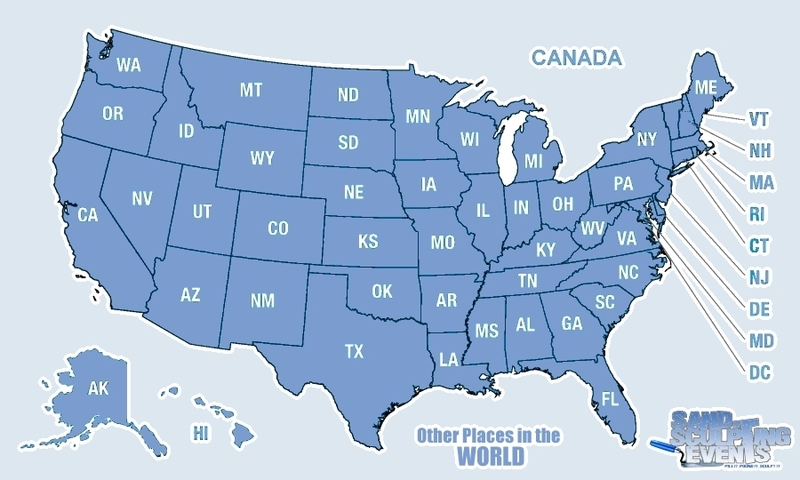 Notes: Claimed to have the largest attendance numbers in the United States. Great event with ton's of vendors. 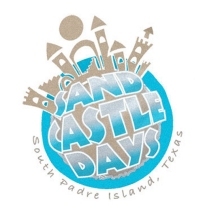 Notes: Amateur and professional sand sculptors from all over the world descend on South Padre Island every year to create beautiful works of art using natural elements of the beach. Notes: 6th year. Master, Advanced Amateur and Amateur levels.The only Master level competition in Michigan. Along with sand sculpting there will be live music, lots of vendors and other activities. 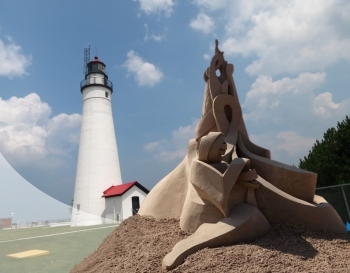 Notes: Each year residents and visitors of the Grand Haven area have enjoyed the challenge of building art in the sand by participating in the Sand Sculpture Contest held annually on the last Saturday in June at the Grand Haven City Beach. Notes: Over the last five years, this invitational only event has grown in leaps and bounds making it the largest Masters competition in the Northeast United States. Level: 2 Solo Masters, 3, 8-man Master's Teams, 40 total teams on the beach. Free Lessons for spectators: Yes, Friday and Sun. Notes: Fine Family Event. Come take a lesson on Fri, and enter your family in the contest on Sat. Notes: Part of Arts in Action, a large arts show, music, sand sculpture viewing, and a "Sand-Posium" with the Masters showing how they do their magic. Notes: Benefit for the Hands On Children's Museum. Now at the Museum's new site. Featuring over 40 activities for the whole family. 13th anniversary event. Notes: 23rd annual. Competition is Saturday, September 13. Specials at area businesses. For more information, please contact Cindy at 360.589.7751. Map of local area: Pacific Beach is located on the Washington coast, just over 1 1/2 hours from Olympia off SR 109. 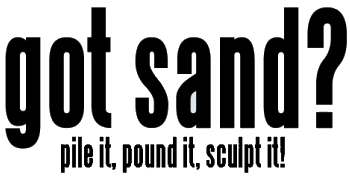 Type of event: Beach Sand Sculpture Contest, with a Masters Display sculpture in town. 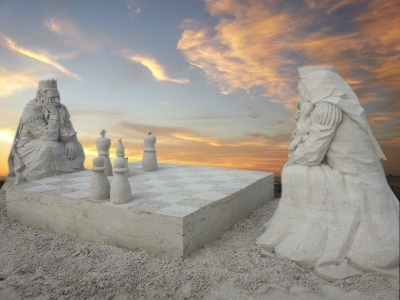 Notes: Experience the thrill of watching sand sculptures come to life from beginning to end. Four solo sand artists are coming to create masters level sculptures in downtown Long Beach. Notes: We welcome all ages at this free community event located at Drakes Beach. Categories include: Children (14 and under), Families, Adult Individuals, and Adult Groups. Three prizes will be awarded in each of those categories, along with prizes for the sculpture with the most recycled plastic included. Notes: Watch as grains of sand are turned into masterpieces! The Neptune Festival announces the return of the ever-popular North American Sandsculpting Championship to the Oceanfront. Internationally known and one of the largest competitions of its kind on the East Coast, this event draws more than 300 competitors in all divisions. Notes: Witness the creation of a massive 100-ton sand sculpture by the talented artist Karen Fralich once again in The Farm in the Better Living Centre this year.This year the sculpture will feature your favourite celebrities and movies stars. Don’t miss the opportunity to get your picture taken with your favorite sand celeb! Notes: This annual sand sculpting contest is mainly for amateurs. 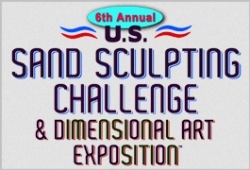 Enjoy BBQ, Live Music and demonstrations by a professional sculptor. 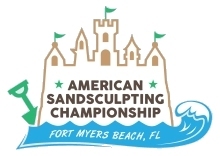 Event Name: 8th Annual Sand Sculpture Festival "Summer Signs"
Notes: 16 International Masters & 13 Italian national amateurs in competitions for solos and exhibitions for doubles and team. All judging in all divisions is done by a panel of sand sculptors who are not competing. Notes: The National Sand Sculpting Festival is celebrating its 12th year and attracts between 700,000-800,000 people from all over New England to see master sand-sculptors from all over the world competing for tens of thousands in prizes. The awards ceremony on Saturday night is capped off with a fireworks extravaganza. The main centerpiece sculpting begins before the individual completion between 10-15 master sculptors begins. Last year’s centerpiece sculpture was a 20 foot tall tribute to our armed forces. The event also includes live music and a gourmet food truck festival. Notes: Family Friendly Event every day. FREE to the public. Friday is the Company Contest. Sat the Sand Coaches carve the display sculpture. 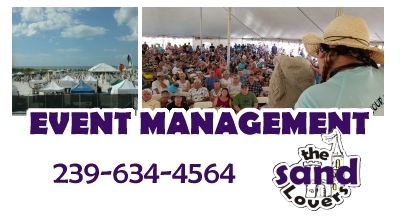 Stage Entertainment, Kids Zone with Sand Box, Food Court, etc. 10th year in Omaha. Benefit for the Nebraska Children's Home, the last no cost adoption agency in the USA. Notes: Since 1964, large beach contest. 50 teams. Watch the tide when you park your car on the beach. Notes:Family Friendly Event every day. FREE to the public. Friday is the Company Contest. Sat the Sand Coaches carve the display sculpture. Since 1996, and 3 different NPOs, this event keeps on chugging. Notes: New Event, part of the Cedar Rapids Freedom Fest, a 2 week celebration. Notes: New Event. Free to the public. Benefit for the Arvada Chamber of Commerce. Notes: 23rd year of event, live music and performances in addition to sand sculptors. Sculpture by Greg Grady, Jr.